LOBA TLC sprayer is an ideal solution for the development of TLC plates. It is compact, well-designed spray canister that delivers fine mist of reagent on the TLC plates. 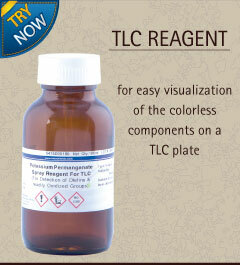 It helps in reducing the wastage of reagents by controlling the delivery of the reagent by even coverage. 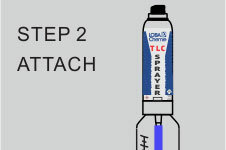 The patented design is based on the simple technology where the TLC canister is situated above the reagent reservoir. A small press of the lever lightly pressurizes the lower glass reservoir releasing a fine mist of spray. When the lever is pressed, propellant and reagent are mixed and dispensed as a spray at the nozzle by action of the venturi effect. Reagent from the jar is pulled up the tube as propellant travels across the holes in the red insert (inside the button). 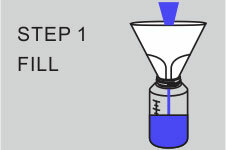 The propellant and liquid do not mix prior to being dispensed out of the nozzle.